Sump pump is a pump that is used to remove any water or moisture that accumulated around the walls of your house. The water can enter via perimeter drains or waterproofing system like a weeping tile around the walls. Sump pump is a key component of you keeping your house dry even during the heaviest rain and snowfalls (some common to Toronto). There are a variety of pumps available on the market some things to look for when evaluating the pump are: horsepower, head pressure, cord length, phase & voltage, backup system, automatic vs. manual pumps. 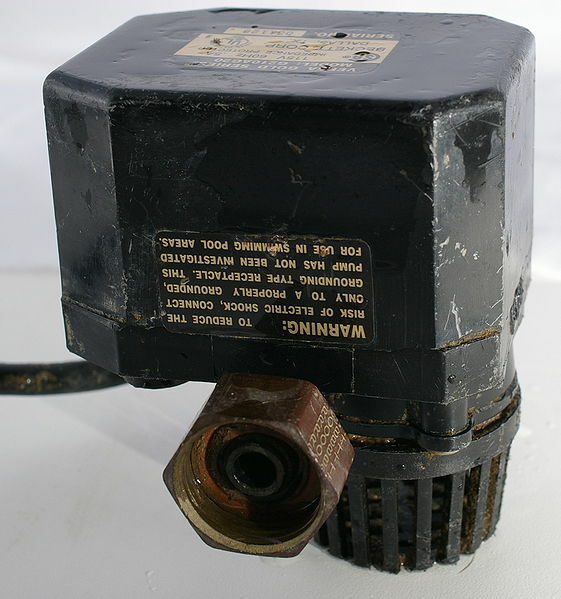 In order for the sump tanks and sump pumps to work properly the have to properly maintained. Typically you should inspect your equipment once a year, however in houses bellow ground level with a lot of potential water leak inside – pumps need to be examined more frequently. It is usually easier to repair the sump pump itself which will eventually fail due to mechanical wear, rather than to repair flooded basement if you let the problem with sump pump to go too far. When examining sump pump, you should also try and clean it from gravel, sand and other debris. That will increase efficiency and extend the life of the pump. Correctly installing sump pump is not an easy task – trust professionals. Give us a call or fill out the form to the right to get a free consultation. We will not only choose the right pump for you, install it right but will also assist you in filling out the application for Toronto’s Basement Flooding Protection Subsidy Program. Under this program you can get a rebate up to 80% if the invoiced cost up to a maximum of $1750 including labour, materials and taxes.